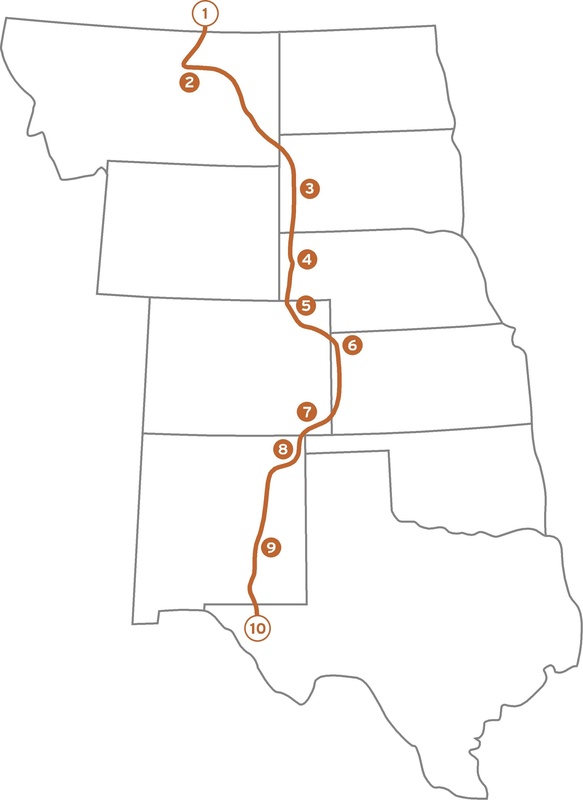 As we head into the 2012 calendar year, I hope to continue posting about fascinating facts and interesting features of the Great Plains, but I also intend to blog about the process of formalizing the Great Plains Trail. The process will involve, among many other things, establishing an official non-profit organization, and creating a website as well as a logo. I am very excited to be moving forward this year and taking these important steps to making the Great Plains Trail a reality, and not just an idea. I will begin this Saturday by meeting with a mentor from SCORE (an organization of volunteers from the business community that assist people in endeavors such as mine) who will hopefully serve as my guide at various points along the way. I hope to bring you all of the thrills and spills as I feel my way through this process that, as of right now, I know very little about. Like a long distance trail, it promises to be a grand adventure with a lot of ups and downs, but in the end . . . totally worth it! This entry was posted in Uncategorized and tagged action speaks louder than words, creating a website, grand adventure, logo creation, mark twain, non-profit organization, non-profit start-up, score, website creation. Bookmark the permalink. You’re doing a great job of keeping the momentum going for the GPT. I’m impressed at the connections you’ve made. Keep up the good work. It is definitely a worthwhile cause. Thanks Kevin. I just keep on keepin’ on.